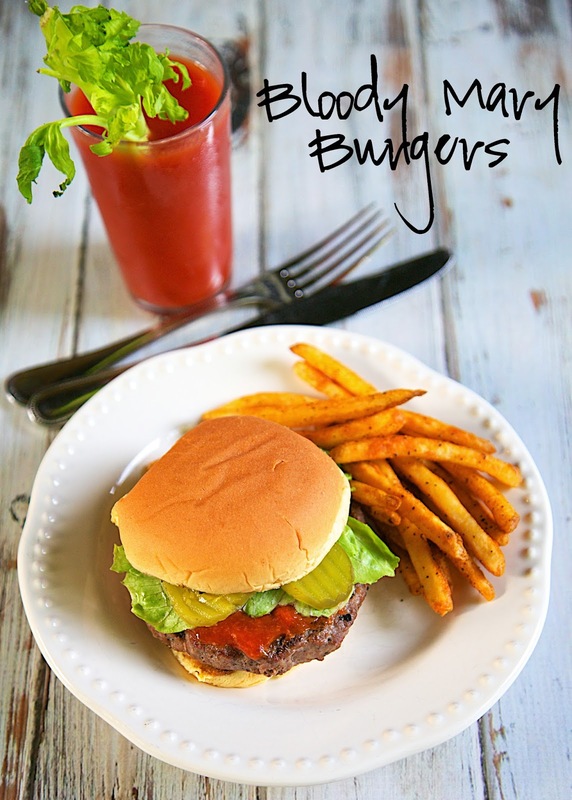 Bloody Mary Burgers Recipe - hamburger meat is seasoned with Worcestershire, celery salt, garlic powder, salt and pepper. 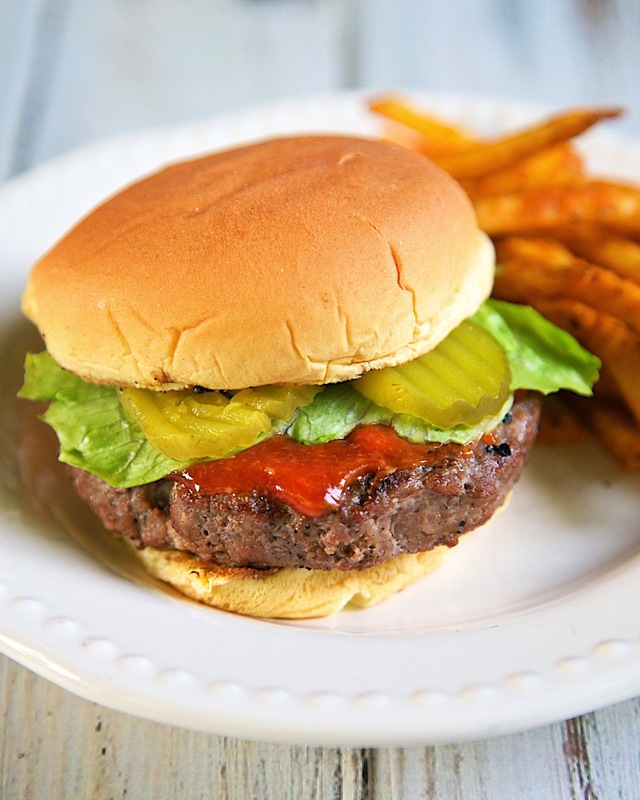 The burgers are grilled or cooked in the cast iron skillet and then topped with a quick homemade horseradish ketchup. All the flavors of a Bloody Mary in a burger! SOOO good! This recipe combines two of Chicken Legs favorite foods - burgers and Bloody Marys. The hamburger meat is seasoned with Worcestershire, celery salt, garlic powder, salt and pepper. The burgers are grilled or cooked in the cast iron skillet and then topped with a quick homemade horseradish ketchup. All the flavors of a Bloody Mary in a burger! They were SO good. We loved all the flavors in the burger and the kick from the horseradish ketchup. We served them with a Bloody Mary, of course! You can make the hamburger patties ahead of time and freezer for later. Since there are only two of us, I usually freeze two burger patties for a quick meal later. Combine hamburger, Worcestershire, garlic powder, celery salt, pepper and salt. Divide hamburger mixture into 4 patties. Grill or cook hamburger patties in a cast iron skillet until cooked to desired temperature. Combine ketchup and prepared horseradish. Place each cooked hamburger patties on a hamburger bun. Top with horseradish ketchup mixture, lettuce and tomato. So creative and what an adorable name! !